First place, Hispanic men’s soccer league, Charlotte, NC. I am not Hispanic. I do not live in Charlotte. I do not play soccer. But, I must have this trophy. 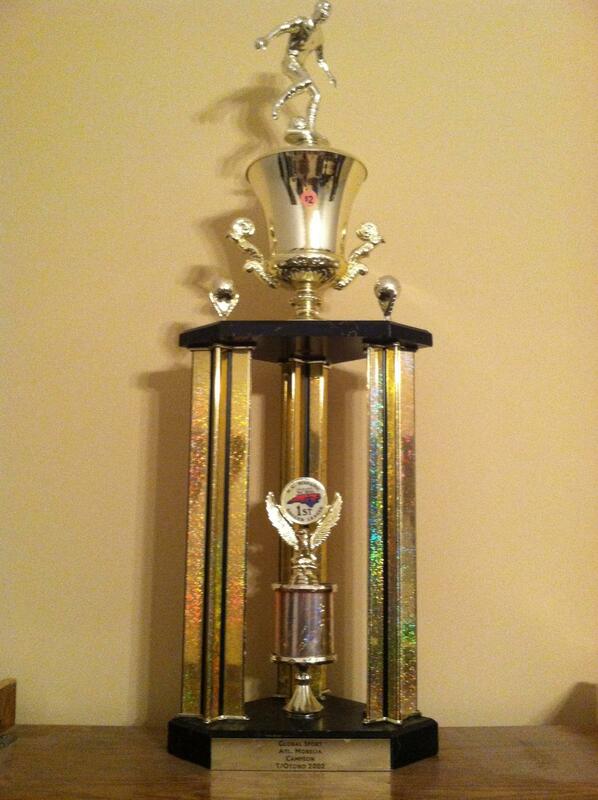 You see, this trophy, along with bragging rights, is the prize for our church fantasy football league. I bought this beauty at a garage sale for a couple bucks. While driving through my friend’s neighborhood, my wife caught a glimpse of the trophy. Knowing that I was looking for an elegant, professional trophy for our league, she (against her best judgement) pointed it out to me and we pulled over. There was a young girl, maybe 8-years-old, manning the family garage sale. Her father, I assume the owner of the prized trophy, was not around. I was able to hold on to the trophy during that season because I won the previous year. We’ve had three other winners since the trophy was introduced. The wives seemed to win the battle initially. The trophy has been outcast to closets and garages, but currently, our league champion is proudly displaying the pièce de résistance on a shelf in his office. I’m sure it helps keep him motivated on work all day. 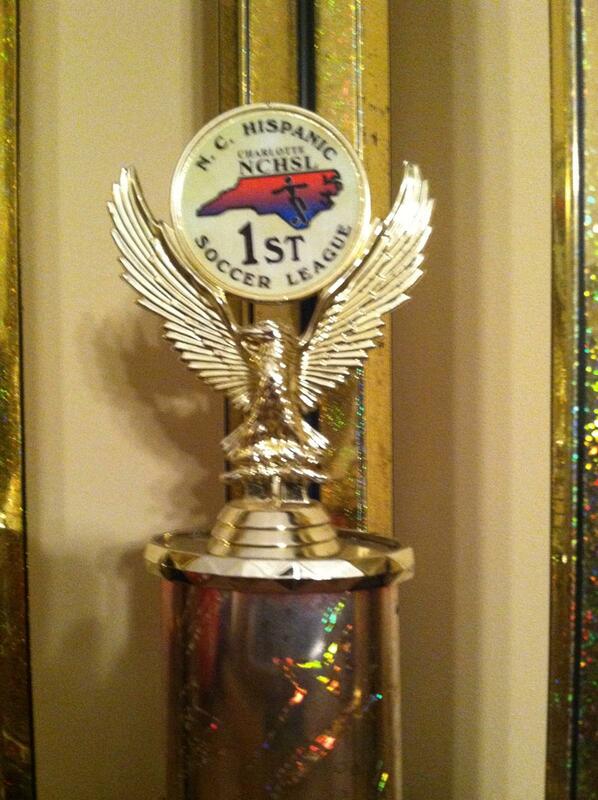 The North Carolina Hispanic soccer league trophy is our prize. It’s what we desire. 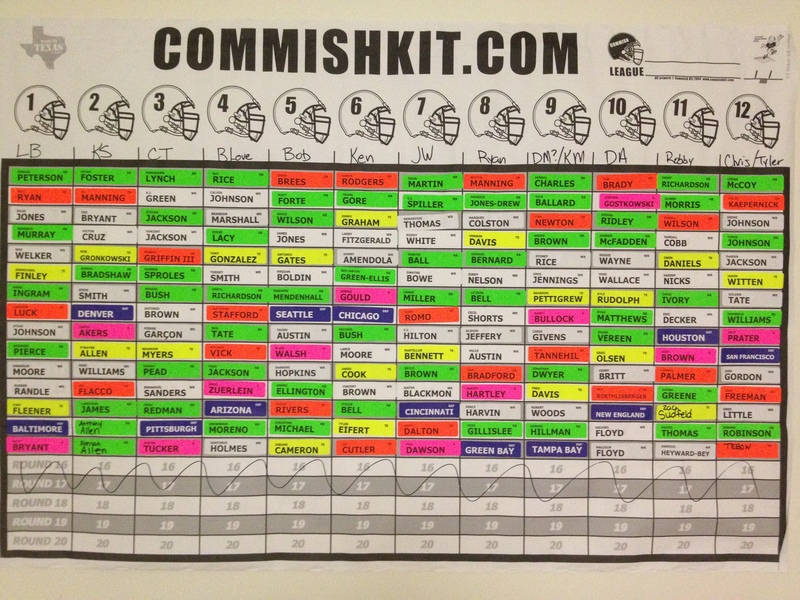 It’s the reward at the end of months of planning and strategy and luck and fun. It’s so tacky and so silly that we (as guys) have to have it. As believers in Christ, are we living in such a way that we’re making Him our prize each day? If you’re anything like me, the answer is probably no. I would like to think that I’m working for the prize every hour of every day. But, I’m not perfect. That’s not an excuse, it’s a reason and I’m not hiding behind it. If it were an excuse, I’d simply stop trying to live for Christ. It’s a daily struggle of personal sin and selfishness, despite knowing better. We should be reminded of our prize in Christ. We should be refreshed by our prize in Christ. We should be re-energized by our prize in Christ. We should rejoice in our prize in Christ. We should relish in our prize in Christ. Obviously, I love that last verse, it’s what this blog is named after. Despite our challenges, stumbling points and shortcomings, we need to keep a constant focus on Christ. Remember learning how to catch when you dad would tell you to keep your eye on the ball? What happened when you didn’t? You got nailed in the eye or nose or crotch-ular region. As a basketball player, I know how important it is to focus on the rim when I’m shooting a jump shot. If I don’t square up and watch the rim the whole time I’m executing the jump shot (it doesn’t take me very long to jump), I know I’m not going to make the shot. In our fantasy league, the desire to win drives us to constantly adjust our lineups, look at injury news, seek out trades and make the right decisions. In our daily lives with Christ, we should have a similar desire to constantly readjust our focus, look at others first, seek out Biblical wisdom and make the right decisions. Yes, I want this beautiful trophy to be back at my residence and display it prominently so people ask me about it when they come over. But, even greater, I want to live so that Christ is my trophy and elevated on my personal mantel so that others will ask me about him when they see him through me.